Okay, you know I'm a sucker for a black cat! I just can't have enough. Well, I have one real one and he's probably enough. But, seriously, cute black cat images? Nope. Not. Enough. What is it that you keep finding yourself attracted to? And add in a cutie pie girl and an oh, so very sweet puppy? Okay...that's hitting all the buttons. You can download the violin playing girl and her singing sweeties below. 2. 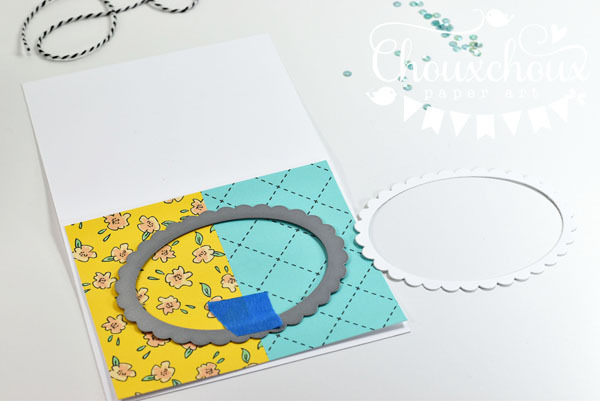 Cut the card base and the patterned paper at the same time. My 120lb card base is so thick that I ran it through three times and then turned it over and ran it through again! 3. To make the inside look nice: Turn the frame face to the INSIDE of the card and tape it on the front. 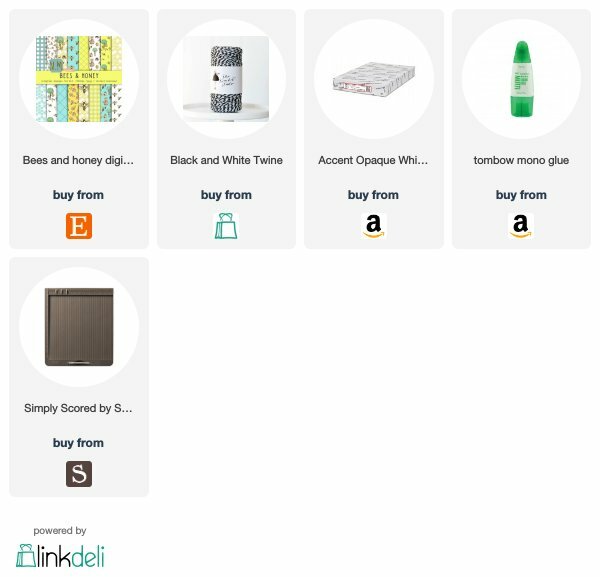 Patterned paper will cover it. 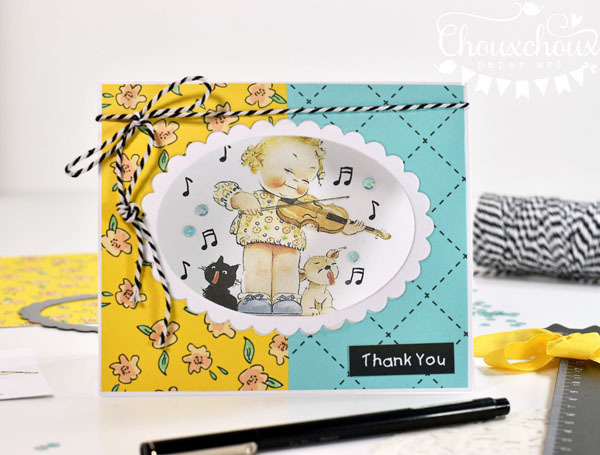 Download Vintage Girl with Violin, Cat and Puppy HERE. Aww... How Sweet Lori! That adorable vintage image is so precious! Have a great week! Oh how darling, Lori! Love how you combined the 2 papers on the front! Awwww.... ADORABLE card, Lori!! 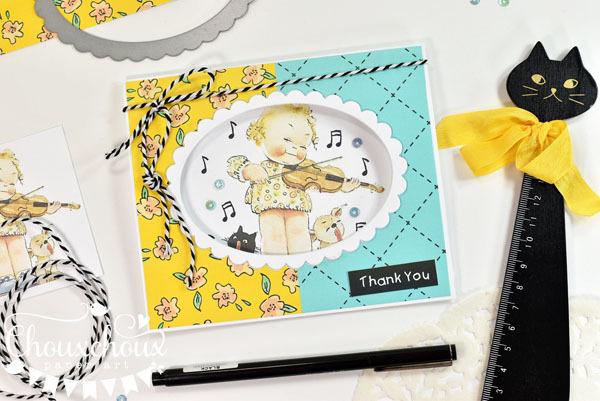 Easy to do but really impressive with these papers and the scallop frame!! 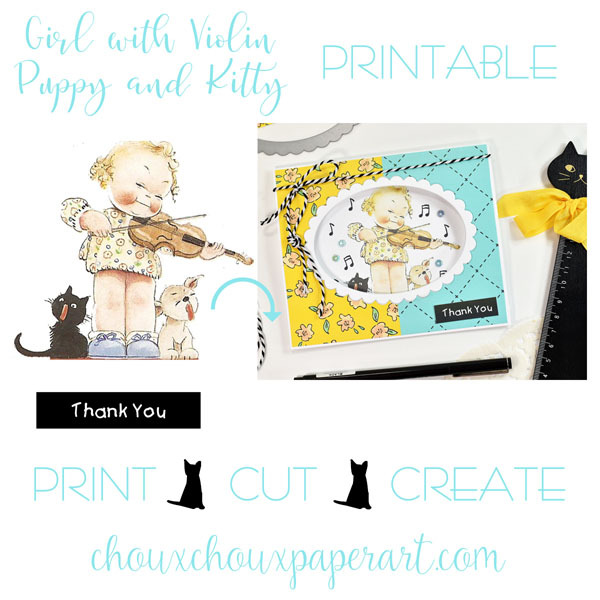 Thanks for sharing this super cute violin playing girl and her singing kittens!!! LOVE them! Super darling window card, Lori! 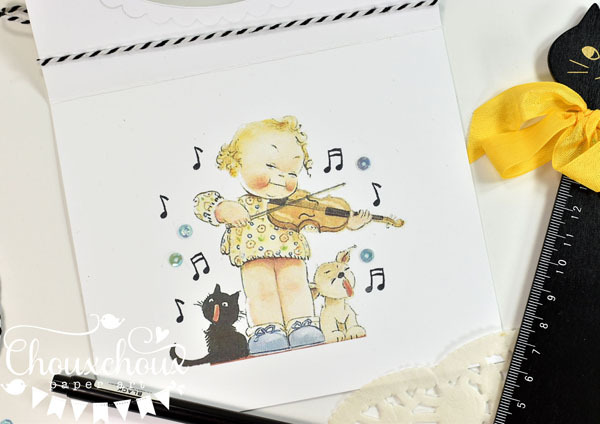 Love the sweet image with the girl and singing dog and cat! Awesome black cat ruler, too! They look like their having a "howling" good time. hee hee I really like the two different papers on the front. Your card is adorable and so is that black cat ruler wearing a big bow! Cute! My gosh, this is SO sweet, Lori! I'm with you..... love me some black cats.... and puppies and cutie pies are always a welcome addition, too. That image is just precious! And gorgeous card design. The papers you chose are super pretty. Love the contrast between the two. And the scalloped frame and twine tie are the perfect touches. By the way, I WANT that cat ruler! My goodness, so cute! sooooo cute, what a lovely idea!! This is SO sweet! Love the window... i'm drawn to... llamas, coffee, sloths, puppies... um... sounds like pretty much everything..lol! Thanks for the beautiful inspiration!